As the calendar ticked over to a new year, many of us pondered on what the year ahead may hold. Some of us made resolutions for the next twelve months. For me, health and happiness are my priority investment goals for 2019. Australians are living longer than ever with the average life expectancy now 82.5 years. While we have access to a high quality of life in terms of health, wealth, work and social wellbeing, data suggests that not all of us enjoy the richness of wellbeing as we age. Last week the Federal Government launched the More Choices For A Longer Life campaign aimed at preparing us for longer, better lives by focusing on our health, work, finance and social life. I welcome this initiative that seeks to increase the level of conversation and awareness about the contributors to our health and wellbeing in later life. If we are going to live longer, we want the extra years to be good, healthy years that we enjoy, albeit that we may define it in slightly different ways than we would in other decades of our lives. I’ll leave the conversation about finance and work for another time, but note that health and social life as key contributors to our longer, better lives. According to the campaign, research shows that nearly nine out of 10 people over 65 are living with at least one of eight chronic diseases. While the functionality of our physical body is the first thing we think of when we consider health, we know that our relationships and our cognitive functionality are two of the great contributors to wellbeing and health, yet we plan little for both, and only invest randomly in either. We can have great physical health but cognitive impairment or social isolation will rob us of the sense that we are enjoying a longer, better life. Sadly, a diagnosis of dementia insidiously links cognitive impairment and social isolation. After a diagnosis of dementia, people with dementia often feel incredibly isolated and lonely. There are a number of factors that contribute to this. The person may have had to retire before they had planned to because of their functional decline. They lose the sense of purpose and belonging, and the social connection that workplaces offer. Their friends fall away as they are not sure how to engage with someone living with dementia. 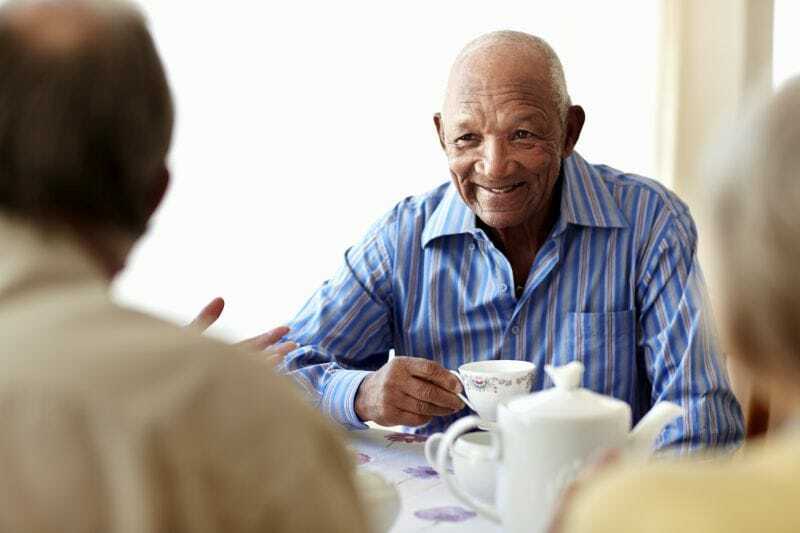 A person with dementia can also lose confidence or feel stigmatised because of their impaired function, and retreat to self imposed isolation at home. We all face the challenge of investing in our health. Dementia increases the degree of difficulty. However, with the New Year, it is good to reset our focus. In my view, health and social wellbeing as life and health goals are grossly underrated and under-represented in our future planning and investment. In a world experiencing change and turbulence, it is important to take control of the things we can influence. While the research data doesn’t give any guarantees, we know we can significantly influence our degree of health and wellbeing far more than previously considered. Set some goals and priorities. Work out a plan of what you need to do to achieve them. The challenge – I am sure many readers would agree – is not simply to set goals to create or maintain a healthy lifestyle, but to stick with those goals and plans throughout the year. These key areas of health and social wellbeing will undoubtedly impact significantly on whether you will be able to say at new year next year, and the years beyond, that 2019 was a good year. If you are concerned about dementia, please contact Alzheimer’s WA on 1300 66 77 88.